The Belchfire Model C Torch needs the TB-500 Torch Booster for maximum heat output. Natural gas prices are falling and will continue to go down as new technologies increase our national supply. This will be the case for as far into the future as we can forecast. You can rely on cheap abundant natural gas being readily available. 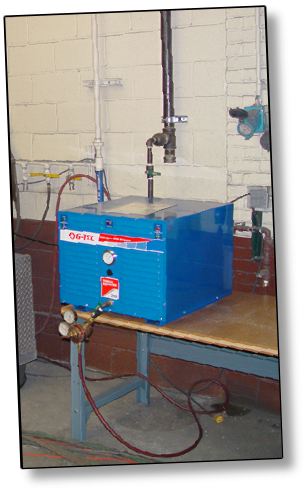 Boost low pressure utility natural gas to 45 psi with a flow rate up to 300,000 BTU/hour. 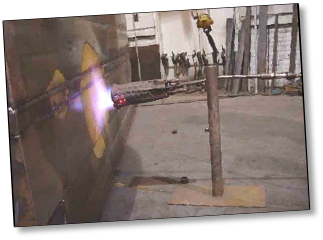 Standard Duty Torch Booster for applications running up to 2 shifts per day; Heavy Duty Torch Booster for 24 hour operation. 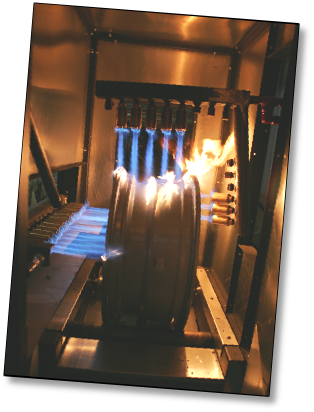 Boost low pressure utility natural gas to 45 psi with a flow rate up to 600,000 BTU/hour. Standard Duty Torch Booster for applications running up to 2 shifts per day; Heavy Duty Torch Booster for 24 hour operation. 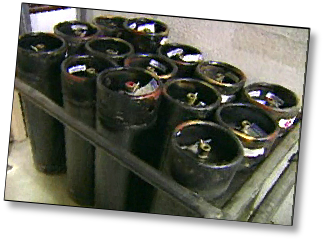 Never change cylinders again and never run out of gas ! 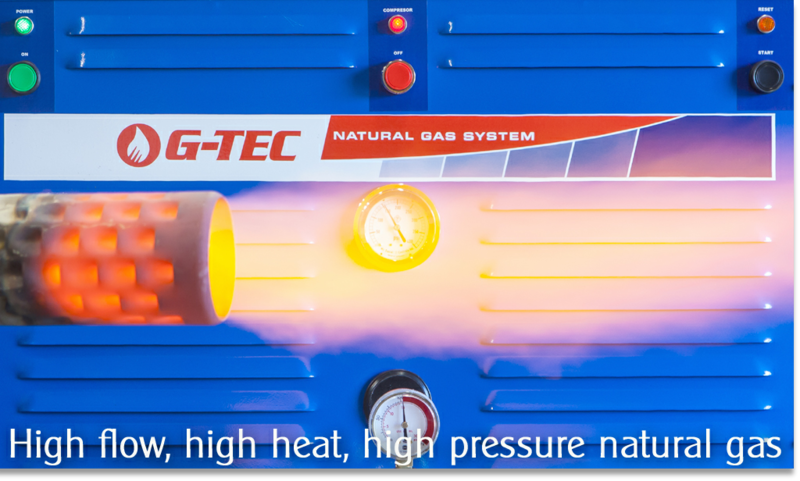 G-TEC Torch Boosters connect to your low pressure utility natural gas pipe (supply pressure from ¼ psi to 5 psi) and raise pressure as high as 45 psi. 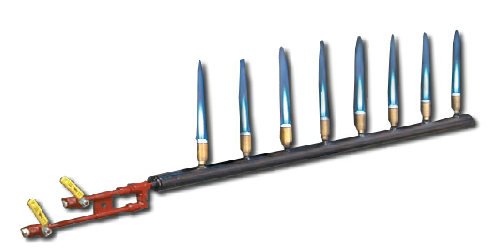 Torch Boosters supply high pressure natural gas as it is used. 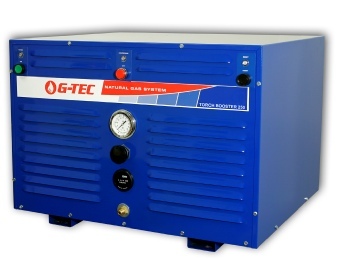 There are no storage cylinders and the Booster is ready to work as soon as it is turned on. This means you never have to change gas cylinders and you never run out of gas - Torch Boosters can run 24 hours a day. And, because natural gas is never liquified there are no problems with slow flow rate or valve icing as sometimes occurs with propane and propylene. 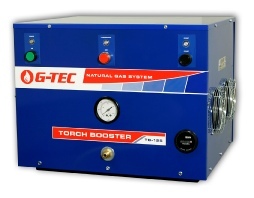 G-TEC Torch Boosters are Certified by CSA International and are welcomed in buildings everywhere, even places where fuel gas cylinders are prohibited.